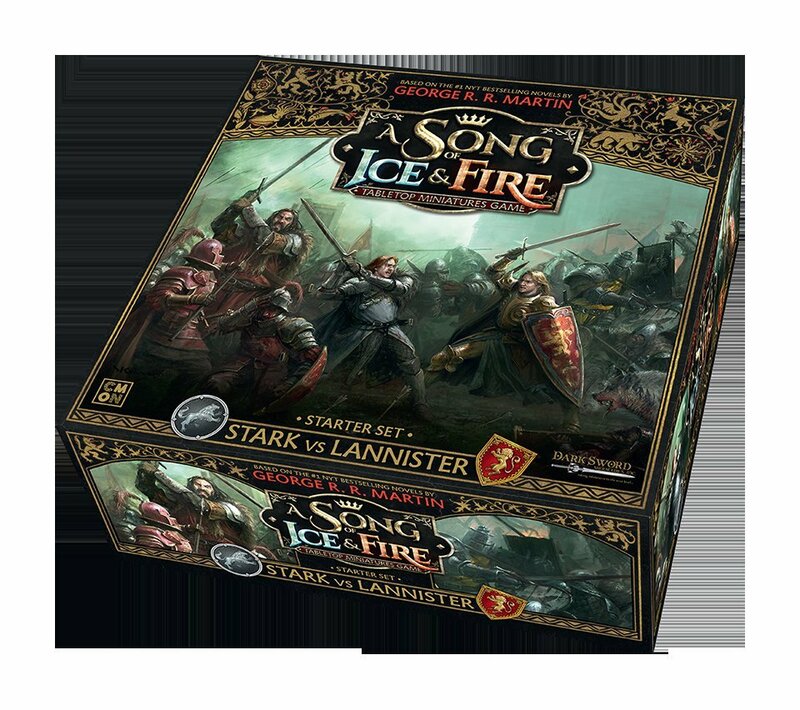 The A Song of Ice and Fire: Tabletop Miniatures Game lets players take control of their favorite Houses from the novels, represented by trays of high-quality, pre-assembled miniatures, and lead them into battle against their opponents. Players can recreate their favorite moments from the series or create their own stories. What if the Red Wedding never happened, and Robb Stark assaulted King’s Landing? Now fans can find out! Battles can range from large-scale wars with hundreds of miniatures, to simple skirmishes between a few units without complicating the elegantly designed rules. The game features several unique systems, including alternating activations that keep the players engaged; a Rank System that changes a unit’s capabilities as the battle rages on; a Tactics System that provides strategic powers fueled by a finite resource each round; and, most importantly, the iconic Heroes, such as Robb Stark and Jaime Lannister, that can change the course of war both on and off the battlefield. Main Image Courtesy: CMON Limited.